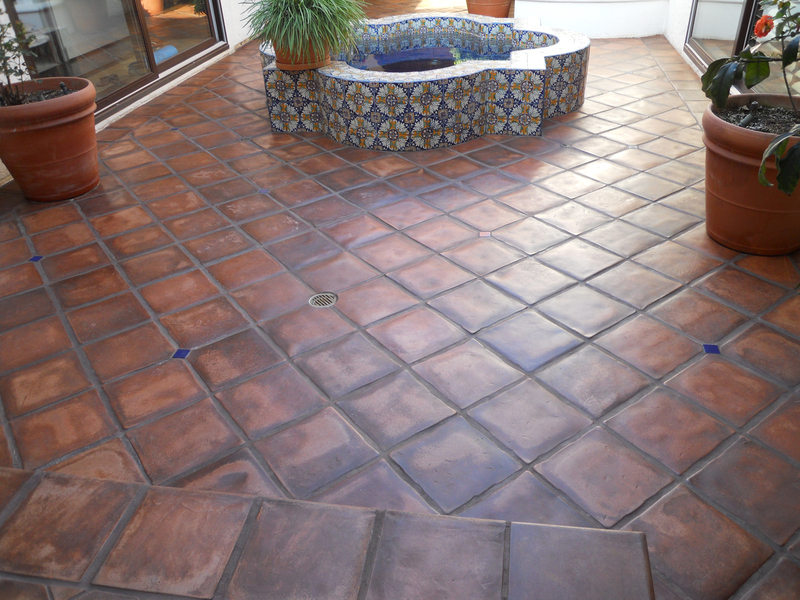 A special thanks thanks to the thousands of customers over the past 25 + years who have done business with California Tile Sealers. Thanks to you, your word of mouth referrals, and our repeat customers, our great success has been made possible. Thank you for coming to our rescue!! 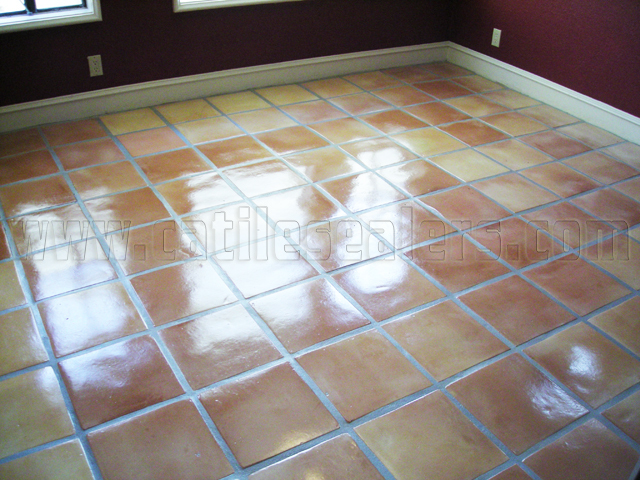 As you know we had a bit of a problem with our saltillo tiles. 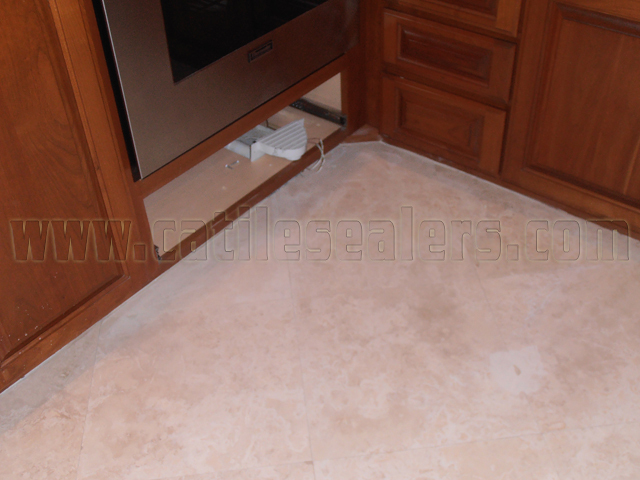 We had old tiles that needed to be stripped and new tiles that were improperly installed with grout color stain all over them. After 2 weeks of another company trying everything they could think of to strip them, they failed and we were left with a huge mess. We were so concerned that tiles were never going to beautiful again. I phoned your company in a panic and received immediate attention. 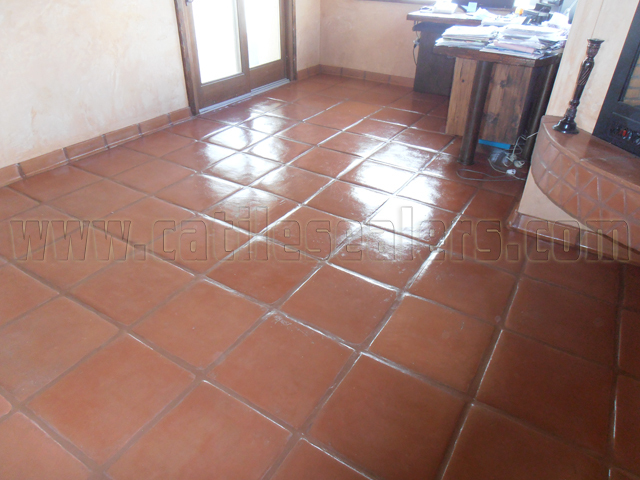 Shortly after, you personally tested the tiles and assured me that the floor could be restored and saved. I have to admit I was skeptical after everything I had been through. 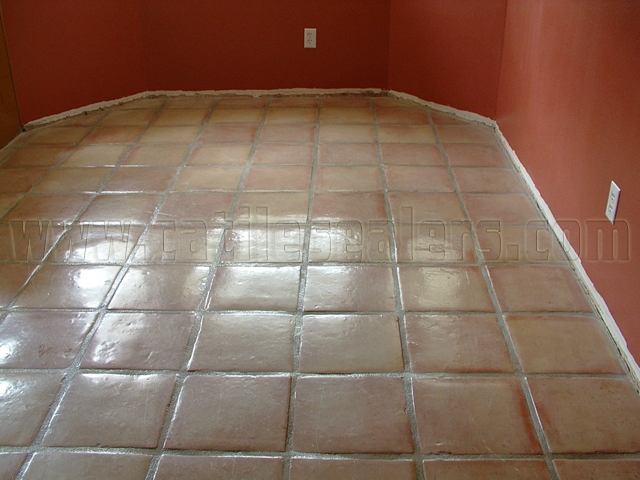 You started working very soon after, and in no time my floor was stripped and sealed and BEAUTIFUL once again. Thank you Bob for all your exceptional work. I am recommending you and your company to all my friends and associates. I simply want to give a sincere compliment where one is due. 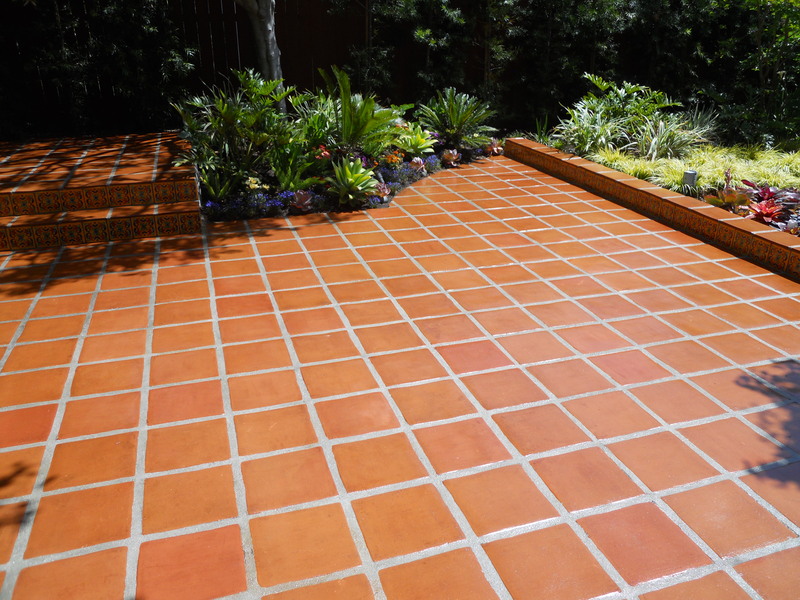 I have worked with a variety of contractors and sub-contractors over the years having mixed results at best with people showing up on time, doing what they say they will do, and doing so in a professional manner. In short, I had a wonderful experience with your firm. While you were not the least expensive, you deliver what you say and do not paint unrealistic expectations for the client. That will service you well in the years to come. I am a firm believer in the notion that you get what you pay for. Your service was worth every penny. Please consider me one of your satisfied customers, and feel free to add me to your list of references. 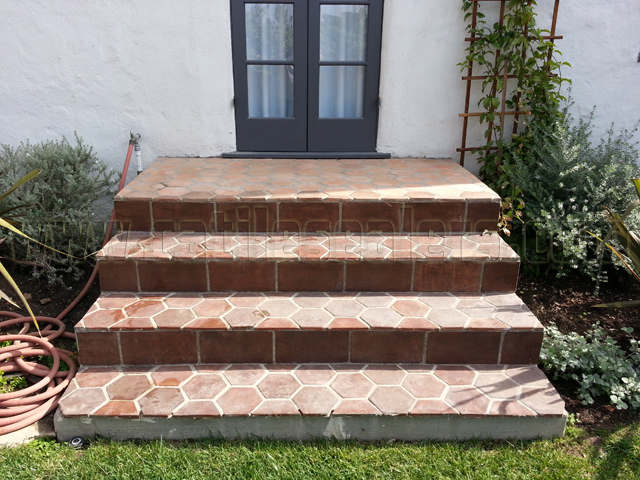 Whitewashed / stained Mexican Saltillo paver tiles. 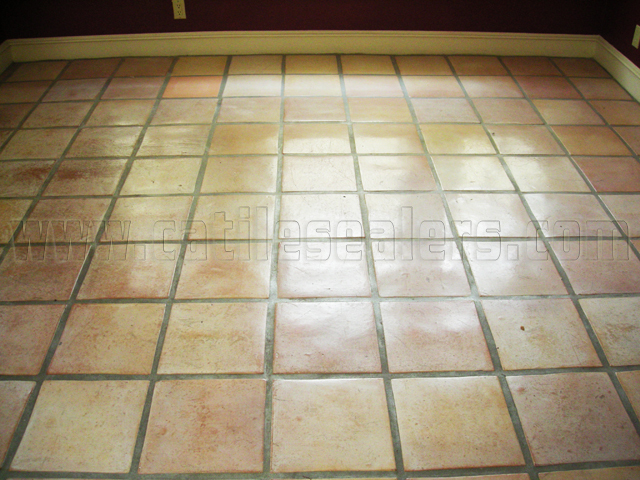 Mexican Saltillo paver tiles completely stripped to bare tile and sealed with medium shine sealer. 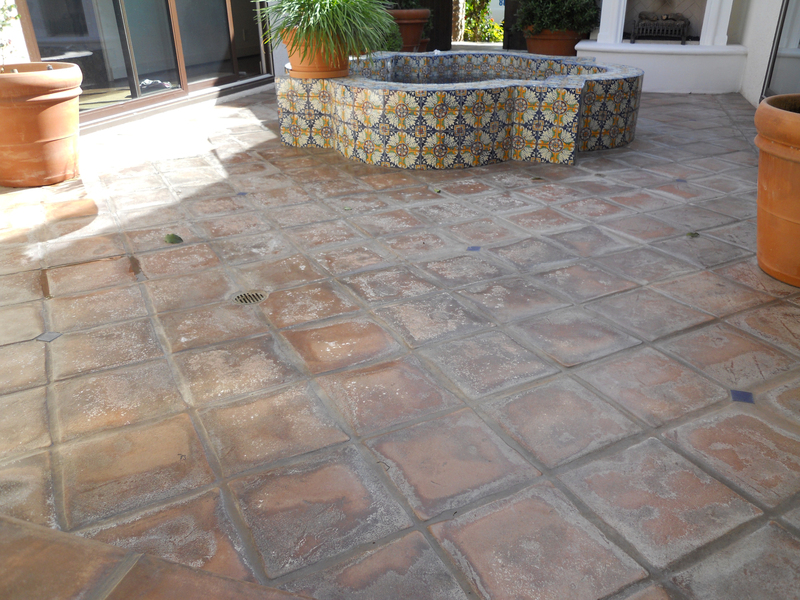 Stained Mexican Saltillo paver tiles with faded stain. J.A. Dunham ….. Rancho Santa Fe, CA.. Dunham & Associates Investment Counsel . 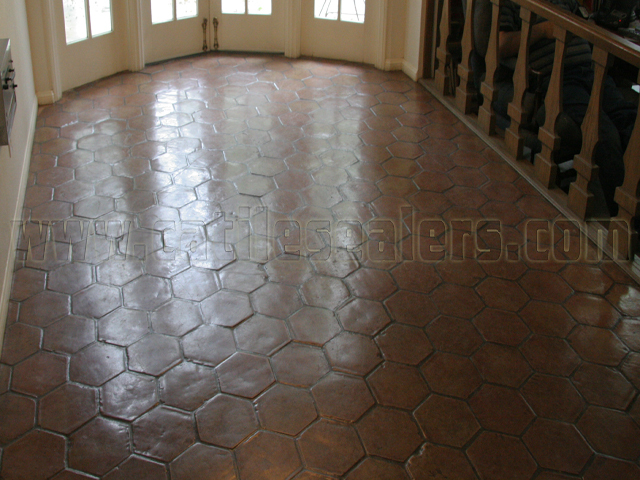 My wife and I would like to thank you for doing a wonderful job refinishing our floor. 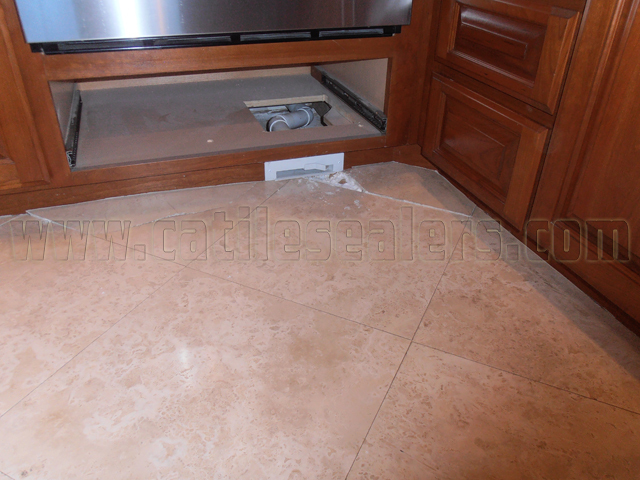 As homeowners, it is very difficult finding a contractor who delivers on their promises. 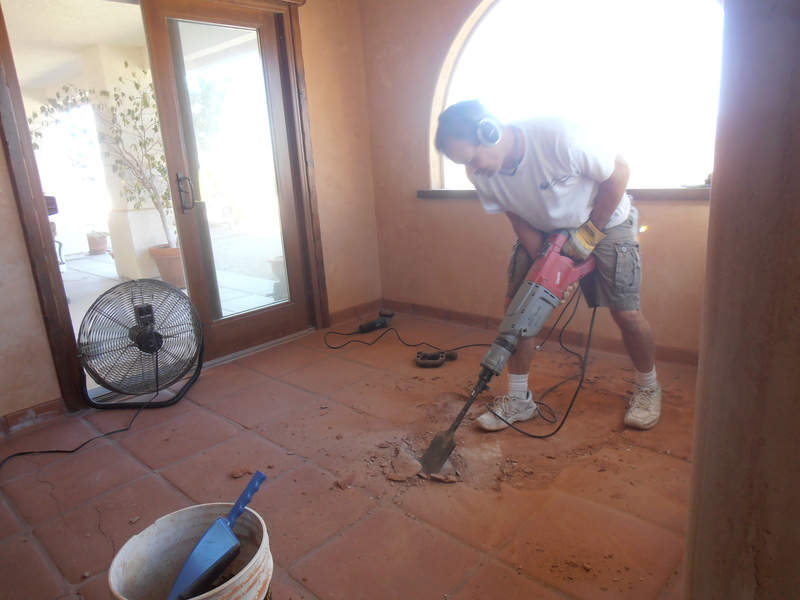 Of all the contractors we spoke with, your knowledge and professionalism was head and shoulders above the rest. 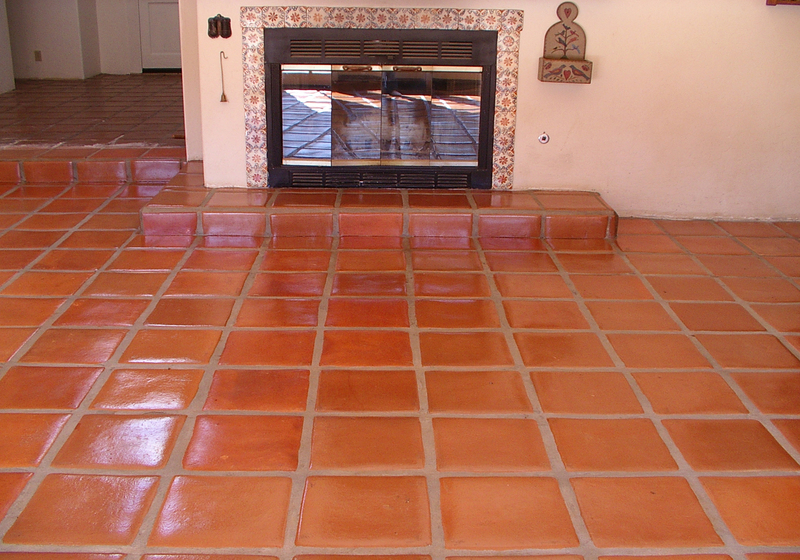 The others were just offering little more than a spray cleaning the surface of the tile, which did very little or anything to clean the floor. On the other hand, you came in and stripped our floor to the bare tile and made them new again. 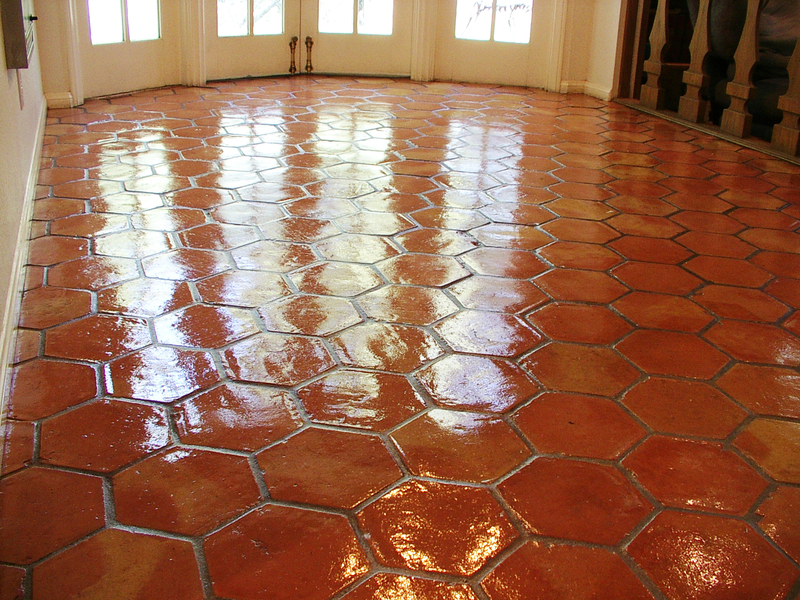 The extremely hard to clean grout lines that had years of wax build up, were restored to their original color. You worked diligently to stay on schedule, but more importantly, you didn’t take any shortcuts. 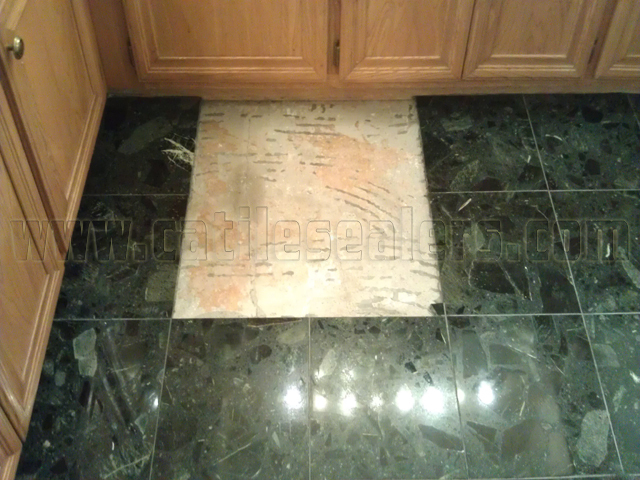 Your dedication and attention to detail shows the pride and professionalism you bring to your craft. Thank you for your integrity, and a job well done. 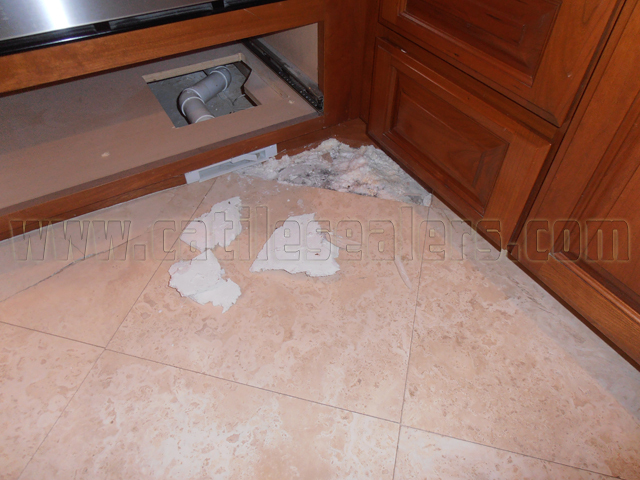 You are what every homeowner looks for when they need to have work done on their home. Feel free to use us as a reference, even though your work clearly speaks for itself.